We build beautiful, custom websites for dentists. Are you ready to elevate your online image? Does your practice convey the image you want new patients to see? 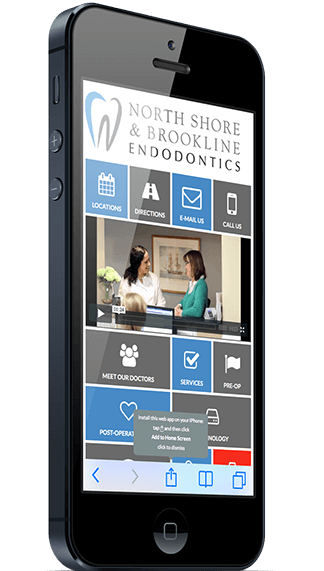 Dentalfone’s Hybrid-Responsive™ technology combines our acclaimed app-like interface on smartphones and tablets. 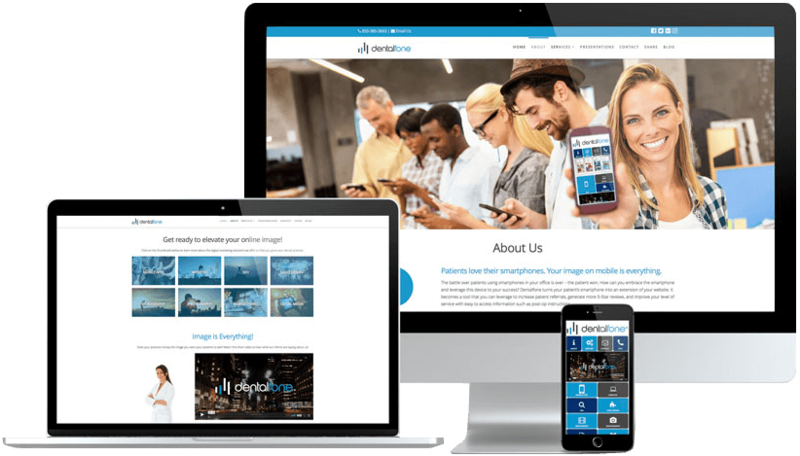 Dentalfone websites provide superior mobile functionality to help you generate more new patients, more appointments, and more happy reviews. A typical responsive website will automatically change the layout to adjust to the screen size of the device you are using (desktop, tablet, and smartphone). And on desktops, we provide a very engaging, high-end, video-based website experience. No matter what device your patient uses, they’ll see you exactly the way you want them to see you. You’ll look amazing on mobile devices and equally amazing on desktop computers.